Due to recent events, the Tampa Bay Lightning’s dressing room should have no shortage of gauze and good wishes for fast healing. Even a red cross painted somewhere nearby would be fitting. "They’re going to be calling us the Syracuse Lightning pretty soon," Lightning coach Jon Cooper said last week, referencing the Bolts’ American Hockey League affiliate. "Literally, I think there might be more guys in the training room. We might have to move the locker room to the training room. It’s getting tough to see." "It’s always hard to respond with injuries," Gudas said. "Guys who haven’t played as much are going to have to step up. They are here for a reason. They know how to play hockey. We’ve got to play with the guys we have." Still, the lack of continuity is an issue. Cooper admitted as such when he said last Thursday, "It’s taxing. It’s emotionally and physically taxing." 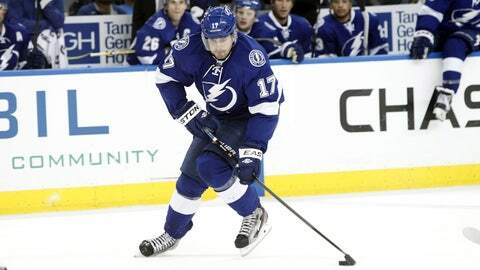 "Guys need to step up," Lightning center Alex Killorn said. "There are a lot of young guys in the lineup. They’ve kind of transitioned seamlessly into the lineup. Everyone is trying to do their role and chip in." "You play with unfamiliar guys all the time," Cooper said. "It’s tough, because itâs tough to get synergy and chemistry with guys. … I’m not going to sit here and cry over spilled milk. Teams get hurt. Weâre probably on the little extreme side."